In addition to creating original show concepts, Windish Music & Productions works closely with special event coordinators, themed attractions, and a wide range of clients to create a unique experience for their target audience. It is important to dream big. It is our goal to exceed all expectations while maintaining the integrity of the guest experience. 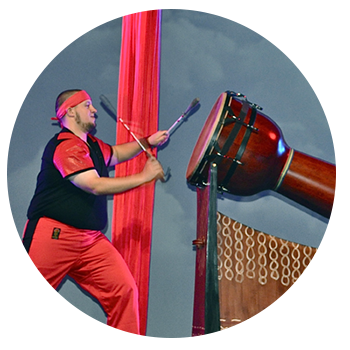 Visual, stunning, virtuosic, comedic and interactive, our one-of-a-kind, award-winning drumming entertainment intrigues thousands of guests at hundreds of venues each year. From a whisper to a rumble, our drumming shows speak for themselves with impeccable timing and stick-shredding energy! 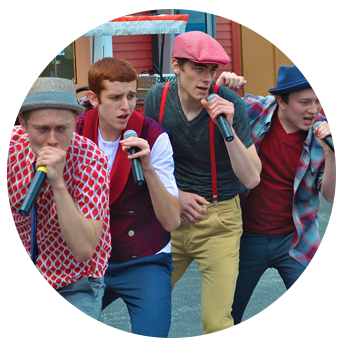 Our “happen-upon” street performances are our specialty and a crowd favorite. From A Cappella singers to brass bands to variety acts, watch in awe as our street shows create an impromptu theatrical experience right before the eyes of your guests. Our timeless street performances have won the IAAPA Brass Ring Award for BEST STREETMOSPHERE and BEST EDUTAINMENT SHOW. Entertainment partners such as HERSHEYPARK, MOREY’S PIERS, CANOBIE LAKE PARK, QUASSY AMUSEMENT PARK, and the historic SEASIDE HEIGHTS BOARDWALK in New Jersey have enhanced their guest experience with this added value. From ‘Happy Hauntings’ kids shows to flesh-eating zombies and voodoo witch doctors, our Halloween shows have intrigued audiences of all ages. 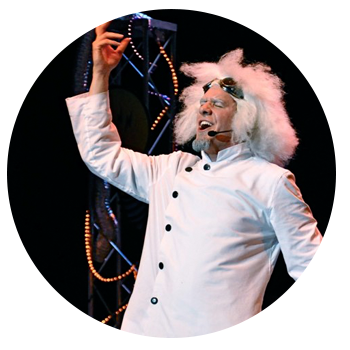 Our famous mad scientist bands have won the IAAPA Big E Award for Best Show. And who could forget the Winter Holidays? Brass Bands, Holiday Carolers, and Pa Rum Pum Pum Percussionists bring a joyful noise to the Christmas Season from stage to street-side! From stage to strolling, our rockin’ musicians are the best in the nation. We stretch the limits with exciting arrangements, original music, creative instrumentation and inventive crowd interaction. Our systematic approach to casting the best musicians and creating a truly unique show has gained international recognition throughout the amusement and theme park industry. 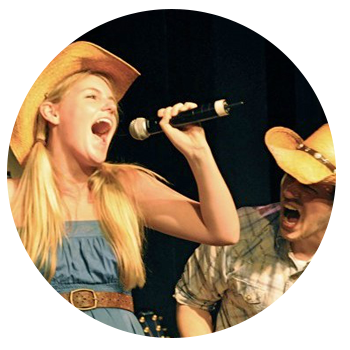 From innovative dueling pianos to all female rock bands, to powerful cappella singers, we push the bounds of musical performance! Our performances can be playful and visual or mystical and otherworldly. From award-winning jugglers to our one-man-band, our variety performances are custom built to the venue, the guests, and themed to the culture and vibe of your event. 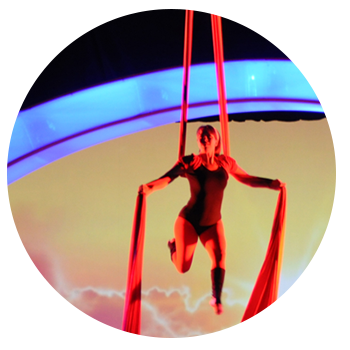 Meant to intrigue and wow audiences, our variety performers accomplish great feats with extraordinary timing.